Glaucoma is a leading cause of blindness in the USA. Nick-named “the silent thief of vision” because often times you don’t feel any pain and you don’t see differently. The condition usually develops slowly over many years – so you may not experience vision loss until the disease has progressed significantly. Glaucoma occurs when the pressure inside the eye rises, damaging the sensitive optic nerve tissue which causes vision loss. However, there are other types of glaucoma where the eye pressure can be normal or even low. 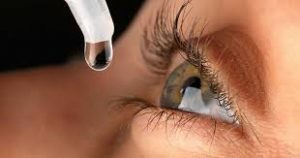 People at high risk include those who are over the age of 40 and have a family history of glaucoma, is diabetic, near-sighted, or African-American. If you show signs of glaucoma during your routine visit, the doctors at Specs Appeal will bring you back to do extensive testing for glaucoma including but not limited to measuring visual field, eye pressure, stereophotos and obtain an OCT (Ocular Coherence Tomography)* of your optic nerves. Regular eye exams help to monitor the changes in your eyesight and to determine whether you may develop glaucoma. 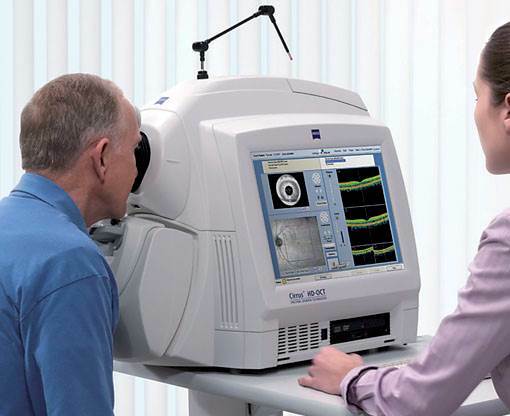 Ocular Coherence Tomography (OCT) technology, is a scanning instrument that has dramatically changed our ability to assess, diagnose, and manage the treatment of glaucoma. Detecting glaucoma in early stage allows us to treat and prevent vision loss. This non-invasive, fast, sophisticated technology yields optic nerve and retinal data in other conditions as well, including diabetes, macular degeneration, vitreous degeneration, post surgical complications, and many other retinal conditions, with new applications continuously being developed. We at Specs Appeal are proud to offer our patients this advanced care.